Each year, California Baptist University’s College of Architecture, Visual Arts & Design hosts a senior showcase for its graduating students.. This semester, Thomas Rogers, senior graphic design major, was apart of CAVAD’s senior showcase, which typically displays the work of about 16 seniors. The CAVAD program helps students grow through connecting them with professionals all over Southern California while offering innovative ways of collaborative education. Rogers said the program has helped him fine-tune and expand his artistic abilities. Kevin Bice, CBU alumnus, took graphic design classes with Rogers and said that Rodgers stood out when compared to the other artists at CBU. “He has more of a rocker style that a lot of people don’t have at CBU,” Bice said. Rogers displayed nine pieces in his senior showcase. The piece of which he said he was most proud has a website to go along with it, as he has a concentration in web design. Last year, during a CAVAD trip to the desert, Rogers won the “salt-shaker” award, short for salt-of-the-Earth, which is presented to someone who has been helpful within the program. “CAVAD does trips out to random spots and we usually go to the desert. At the end of the trip they pick someone who was helpful and present, and he got that award,” said Jonelly Gomez, junior photography major. After graduation, Rogers said he plans to apply for graphic design jobs, and implement his skills and success from CBU into the work force. 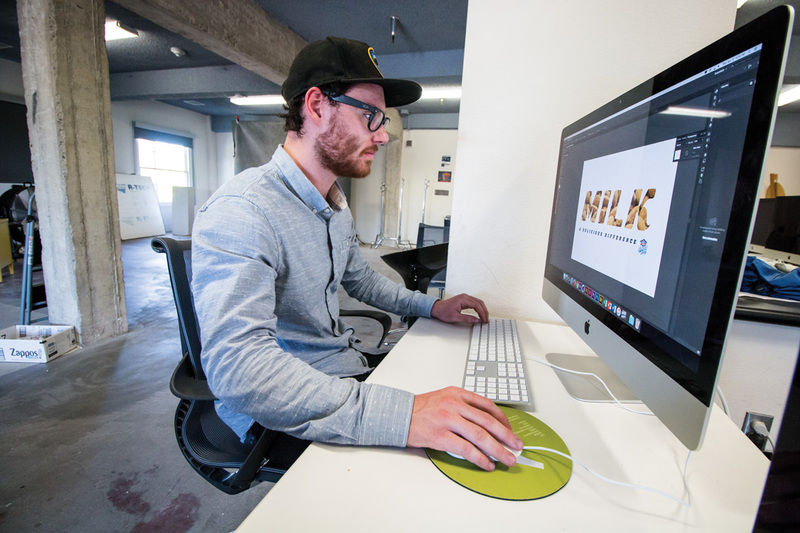 “What helped me fall in love with (graphic design) is the fact that it’s everywhere. You can go anywhere and see something that’s been designed graphically,” Rogers said.